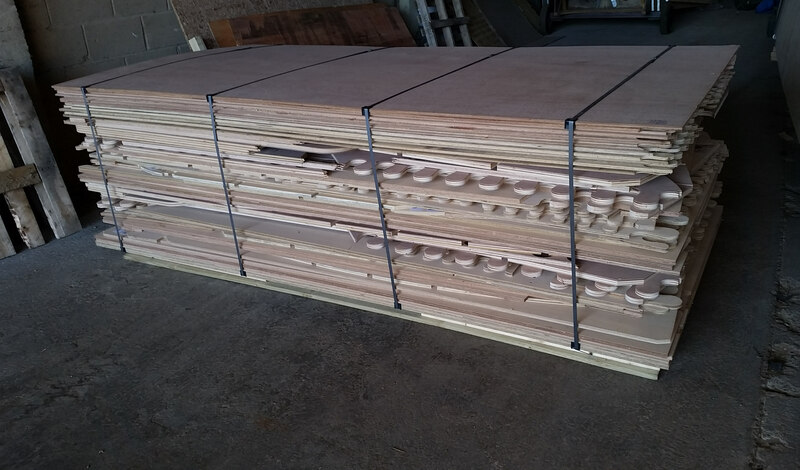 The kits are prepared using our CNC router which has the capacity to cut in 3D, full sheets of ply and solid timber up to 200mm thick. 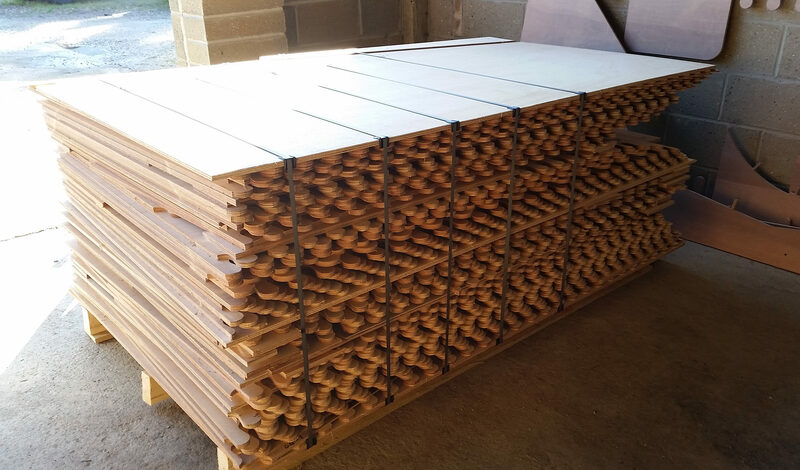 We use jigsaw joints for joining ply components, they produce a near perfect flat surface, use less epoxy and achieve a very accurate alignment between components when compared to scarf joints. The router is not only used to machine ply, we produce rudder and dagger board profiled foils, UHMWPE dagger guides, port light mounting flanges, Styrofoam profiled inter-skin cores and the list is growing. DWL and center lines are marked on each bulkhead to facilitate fine location adjustments. Construction guidelines are marked on the backbone components and build cradle. Each component is marked with identification and build order number. Components are packed into sets corresponding to build order. 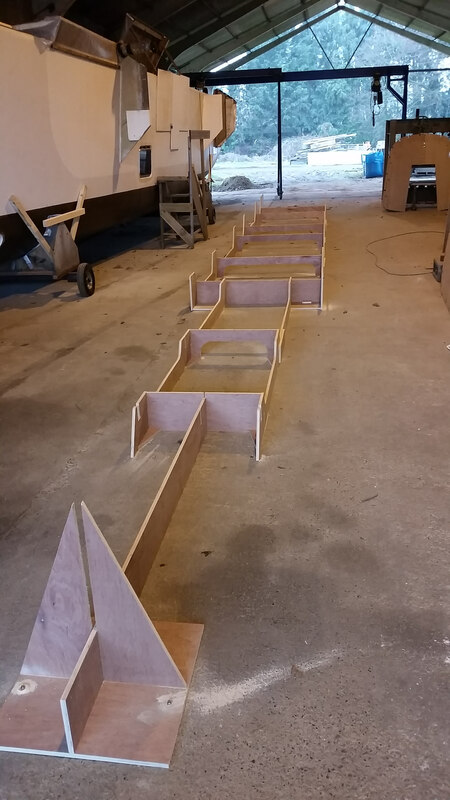 Each Kit is produced to customers individual requirments, these can include standard build or split build, cabin layout, engine type, Cruising keel or daggerboards etc. A typical hull and skin kit for a DH550 weighs upwards of 3000kg so delivery for export is based on containers which are included in the freight price, the containers are very useful for storage during the build. Orders within the EU are normally delivered by road transport. The Ideal location for construction is at, or close by the final launch site. As this is not always possible, our kits are designed for the build to be accomplished in two sections, even four sections is possible but would entail far more work to be carried out at the launch site. 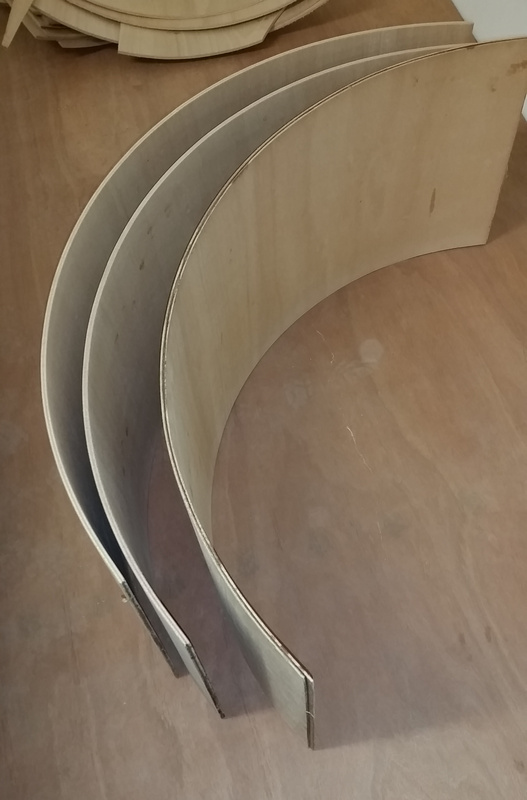 The radius chine is constructed with two layers of 6mm marine ply, we produce pre-formed ply sections specifically for this purpose. 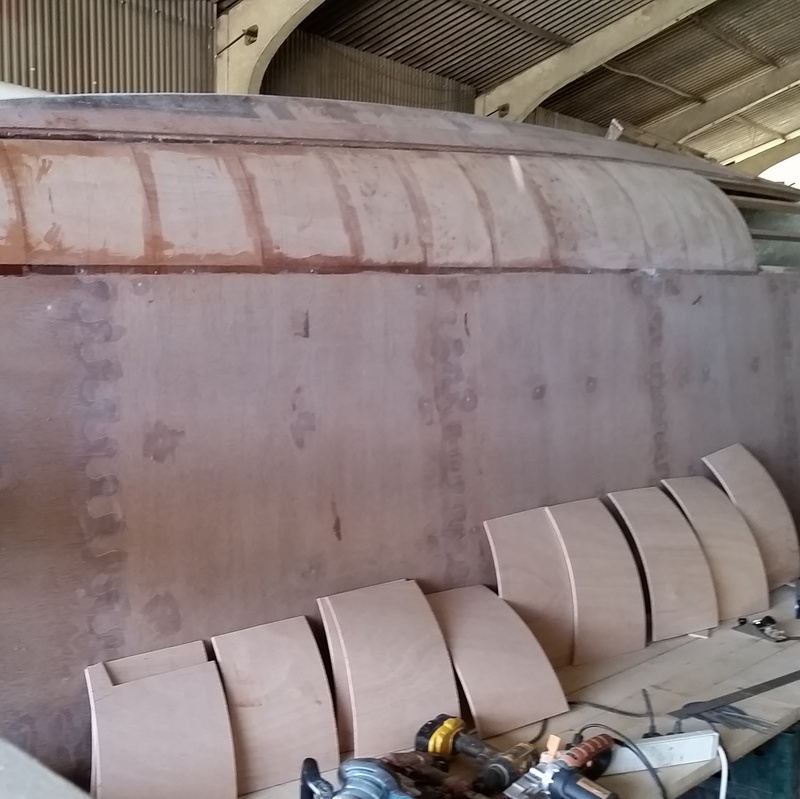 The result is a fine hull surface that requires very little fairing. 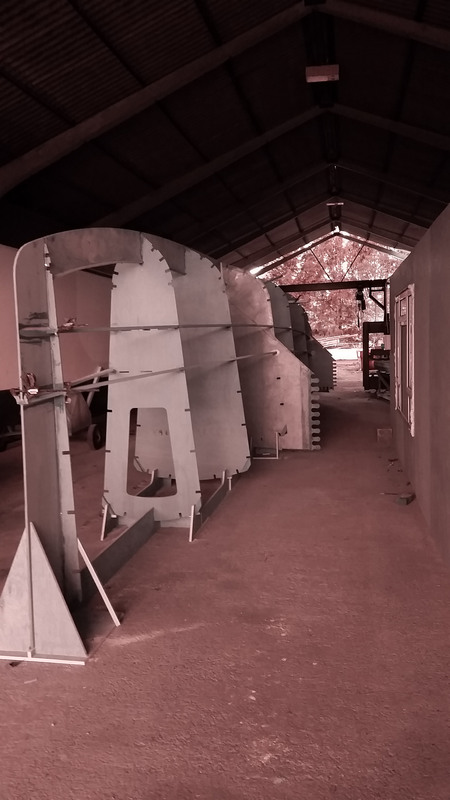 The standard building stock method of bulkhead staging has been developed into a build cradle which perfectly aligns the bulkheads in all three axis. Two cradles are included with every kit so both hulls can be built at the same time, space permitting.